Dizziness is defined as to impairment in stability and spatial perception and is usually divided into four types. Vertigo is the perception that environment or body around is spinning. Presyncope is another form of dizziness that gives off a feeling of light-headedness. Disequilibrium is a sense of imbalance. There is another category of dizziness which is often vague or described as floating; many times there are other conditions accompanying it such as nausea, headache, or abdominal pain. Dizziness is usually harmless and short-lasting, but there are times where it can be persist. Dizziness affects as many as 40 % of people over the age of 40 and is more common with age. Vertigo is usually associated with conditions that affect the inner ear, such as Meniere’s disease or labyrynthitis. A certain type of vertigo that occurs when the head changes position and a sudden dizziness is felt is called benign positional vertigo. Benign positional is believed to be caused by calcium particles clumped together and collecting in an inner ear canal, which would irritate the nerves in there. Presyncope is usually associated with a drop in blood circulation to the brain. This can occur due to various conditions such as anxiety, coronary artery disease, heart failure, and low blood pressure. Disequilibrium is usually caused by migraine headaches, strokes or other neuromuscular programs. Other types of dizziness can occur because of use of too much alcohol, anemia, double vision, motion sickness, dehydration, nausea, and psychiatric disturbances. Dizziness is often a side effect of different medications. Dizziness is associated with taking a new medication. Dizziness has appeared on and off for at least three weeks. Dizziness occurs with a loss of other consciousness. Dizziness occurs with no other symptoms involved. The doctor may question how often dizziness occurs, if there is a feeling of light-headedness, a feeling of off-balance, spinning sensation, other sensations such as hearing loss, tinnitus (ringing in the ear), chest pain, or vision problems. Balance test may be given which involves asking patient to walk a straight line. Other tests such as blood pressure, various heart tests to detect heart disease or arrhythmias, will be given to determine if dizziness is occurring because of low blood pressure. Imaging tests of the brain such as magnetic resonance angiography and ultrasound can detect whether blood flow to brain is adequate if a stroke is suspected. Magnetic resonance imaging (MRI) of the brain is done if a tumor is suspected. Do not consume more than two alcoholic drinks (one alcoholic drink is usually defined as 14 oz.) a day. If a lesser amount causes light-headedness, abstain from it completely. Drink plenty of water throughout the day to avoid dehydration. Treat upper respiratory infections and middle ear infections promptly. Minor dizziness usually requires no treatment and goes away on its own. For recurrent dizziness, the treatments will be based on the underlying cause. If dizziness is due to a medication, it may be necessary to go to a lower dose or substitute for another medication. If dizziness is due to an illness such as stroke or coronary heart disease, treating the disease will usually control the dizziness. Otherwise known as canalith repositioning movement, Epley Manoevre is the standard care for benign positional vertigo. It is usually performed by a trained professional like a doctor or physical therapist. In this procedure, the patient lies supine while the practitioner turns the patient’s head to one side and then the other. The purpose of this procedure is to separate calcium particles that have clumped together in the ear. In more than 90% percent of positional vertigo cases, the Epley manoeuvre provides immediate relief and no additional medication is necessary. Though there is reccurence of vertigo symptoms, the manoevuvre can be repeated and will provide relief again. The patient will sit on a bed and turn their head 45 degrees to the right. The patient will sit up again and turn the head 45 degrees to the left. Next, the patient will lie on their right side, keeping the head facing left, and then sitting up again. Ginger was first used 1000 years ago by Chinese sailors when it was chewed for seasickness. Their travel to various parts of the world also spread this cure for dizziness around, from India to all over Asia, to the Middle East and on to Europe. Scientific evidence has more recently proven the validity of ginger’s cure for dizziness. One study that had 80 naval cadets as subjects showed that by taking as little as one gram, or less than half a teaspoon, of powdered ginger shortly before setting off ashore can reduce symptoms of seasickness, including dizziness by almost 40 %. 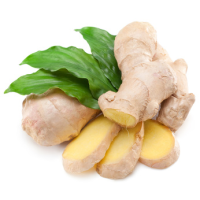 In an earlier study with 18 healthy subject on land, one gram of ginger was found to be more effective than the standard drug given for seasickness, dimenhydrinate (Dramamine). Ginger was found to relieve symptoms of motion sickness and vertigo better than dimenhydrinate. 30 minutes before departure, swallow two capsules. Ginger capsules are available at supplement outlets and health food shops. Ginger tea or slices of candied ginger have also been found to be effective. Gingko extract is a popular treatment in Europe for vertigo. One study in France had 70 subjects with chronic vertigo showed 47 % showed improvement after taking ginkgo. 60-240 milligrams a day is sufficient enough, any higher is not necessary as it may cause restlessness, diarrhea, and irritability. Herbalists have claimed the effectiveness of pumpkin seeds to relieve dizziness. A 2004 Chinese study of 167 patients tested conventional medicine against a Chinese remedy called Yangxue gignae granule. Each patient had vertigo, headaches, and tinnitus related to arteriosclerosis. The subjects that took the Chinese remedy reported fewer symptoms and better blood flow to the brain.